The steep option into the park canyon Chute Trail is affectionately known by some as “The Grunt." Start of the Chute Trail into Smith Rock State Park. 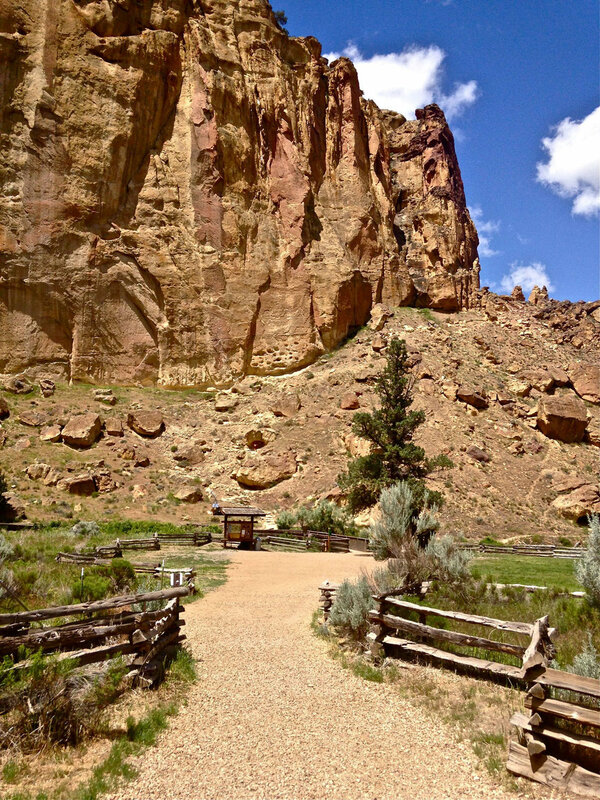 Rounding the corner at a main viewpoint on the Chute Trail at Smith Rock State Park. 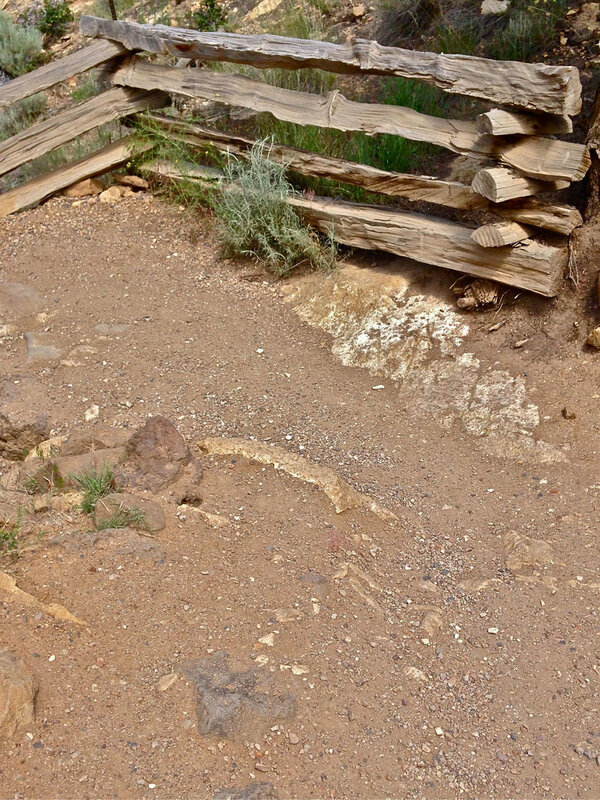 The scree surface of the Chute Trail goes past a composting toilet at Smith Rock State Park. The Chute Trail ends after it joins up with the Canyon Trail just before the bridge crossing the Crooked River Trail at Smith Rock State Park. NOTE: Horseback riding and mountain biking restricted on the Chute Trail. At the end of a long day in the park, the arduous 500-foot final push back up to the parking area can make anybody grunt. It can also be a bit intimidating if you’re not used to walking down scree. Yes, it is the more challenging of the two options from the Overlook to get down to the river and to connect to the trail system. With a guard rail in some areas, and places to pull over and rest on your way back up, just go at your pace. Even when you see climbers with sandals and big packs run by. They do this all the time and have got the balance thing down. Not feeling too spry in the knees anymore? Try some trekking poles to distribute the load. There’s of course always the option to stay on the gravel road of the Canyon Trail.